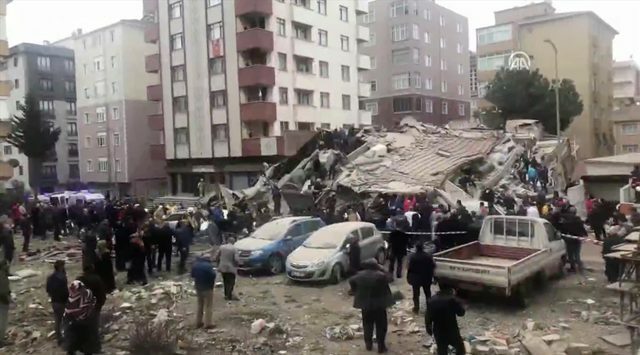 A five-year-old girl has been pulled alive from the rubble of an eight-storey building which collapsed in the Kartal district of the Asian side of Istanbul, claiming the lives of at least three people. 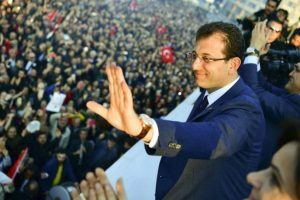 Azra Havva Tekgöz was rescued on Thursday morning, almost 20 hours after the building collapsed at around 4pm local time on Wednesday, Istanbul governor Ali Yerlikaya announced via Twitter. 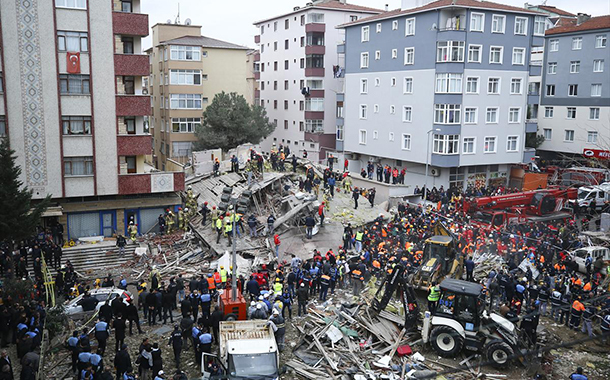 Mr Yerlikaya, who visited the scene of devastation, had told reporters earlier on Thursday that rescue teams worked through the night and pulled out 12 people, three of who were in intensive care. Efforts to locate other survivors are still continuing, with search and rescue teams making pleas for silence to hear for sounds from under the debris which could indicate more survivors. CCTV footage from a spot nearby showed the apartment block crashing down with pedestrians, including children, running for their lives as the area is enveloped in a cloud of dust. Forty-three people lived in the block’s 14 flats, a statement from Mr Yerlikaya’s office said, although it was not clear how many were at home at the time of the tragedy. Surrounding buildings have been evacuated as a precaution, the statement added, and residents put up in emergency accommodation. Operations had to be stopped three times because a 10-storey building adjacent to the collapse site was “at risk”, Mr Yerlikaya added, and was being monitored “constantly” with lasers. More than 400 people are involved in the search efforts, including rescuers, firefighters, medics and those providing “psychological support”, the governorship said. Five specially trained dogs and special vehicles and equipment are also being used to detect and rescue survivors. Turkey’s Parliamentary Speaker and former prime minister Binali Yıldırım, Interior Minister Süleyman Soylu and a number of other officials have all visited the disaster scene. Turkish media reports said that an extra three floors had been added to the 27-year-old building without permission and that a textile shop on the ground floor was operating “without a licence”. 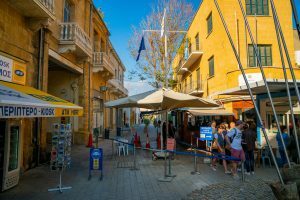 Environment and Urbanisation Minister Murat Kurum told reporters at the site that “many” of the buildings in the area had been constructed beyond the scope of planning licences. “There are buildings which have a ground floor plus seven, nine or 10 floors when they should only have an extra five floors,” he said. State prosecutors were reported to have launched an investigation into the building’s collapse and ordered a broadcast blackout on the incident, citing their investigation.